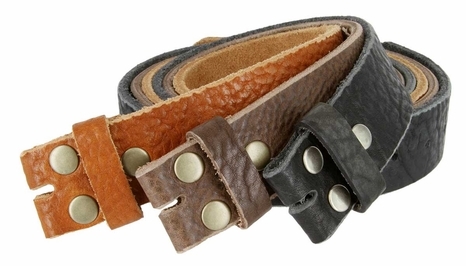 This belt strap is hand-crafted in Anaheim, California, from a single piece of genuine North American full-grain cowhide leather. 4.90 mm approx (3/16" approx) thickness. Hand-cut made in USA, measured from where the leather ends at the buckle end to the middle hole at the tip end.